The big questions, “Do I need Winter tyres?” and “What’s the difference?” The guide to helping you decide is here! 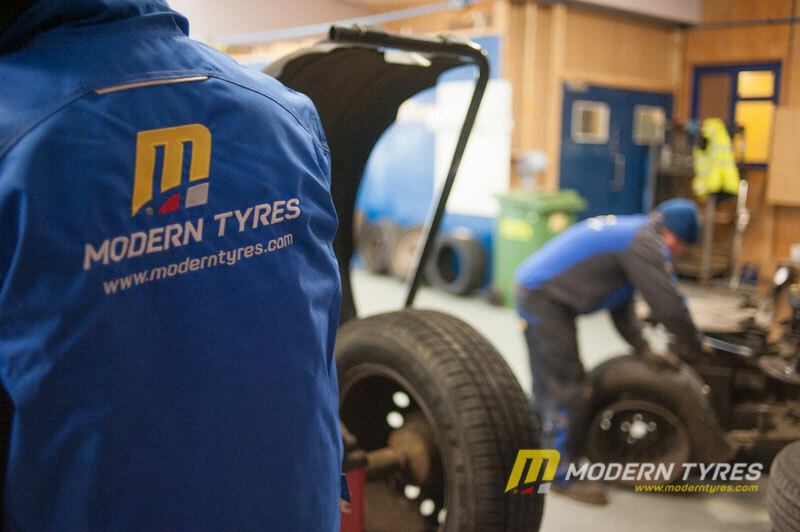 At Modern Tyres we will always recommend you use the right tyre for the right season and the customers general tyre use. For the Winter season, In Ireland, the answer is a complex one as the climate parameters vary much more than in mainland Europe. 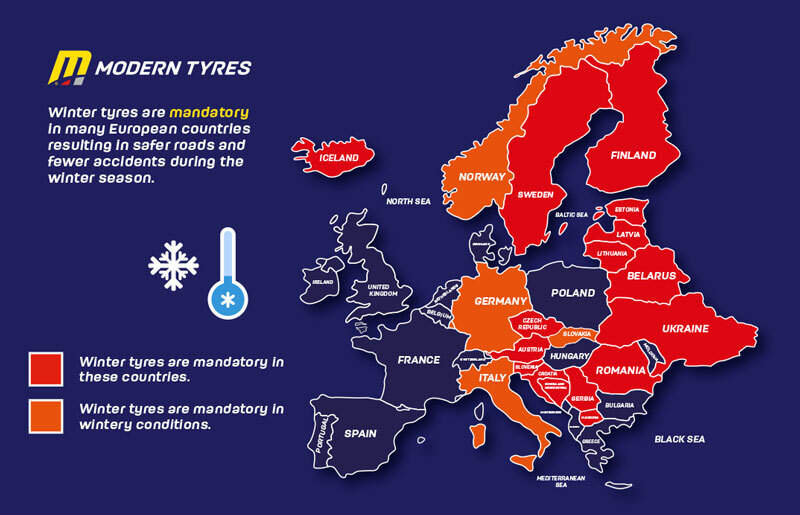 For example, in 18 of the EU countries, Winter Tyres, by law, are mandatory with a further handful having laws which require vehicles to have Winter tyres fitted in ‘wintery weather conditions. In Ireland, most people play it safe and bridge the gap with All-Season tyres. The average winter temperature in Ireland for December, January and February is approx 2.75 degrees and has almost three quarters in days of rain, sleet and snow. 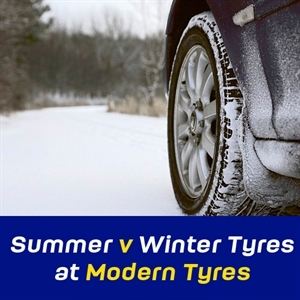 During this period, Winter tyres and All-Season tyres will vastly outperform Summer tyres. Winter tyres window for greater performance is 7C and below. 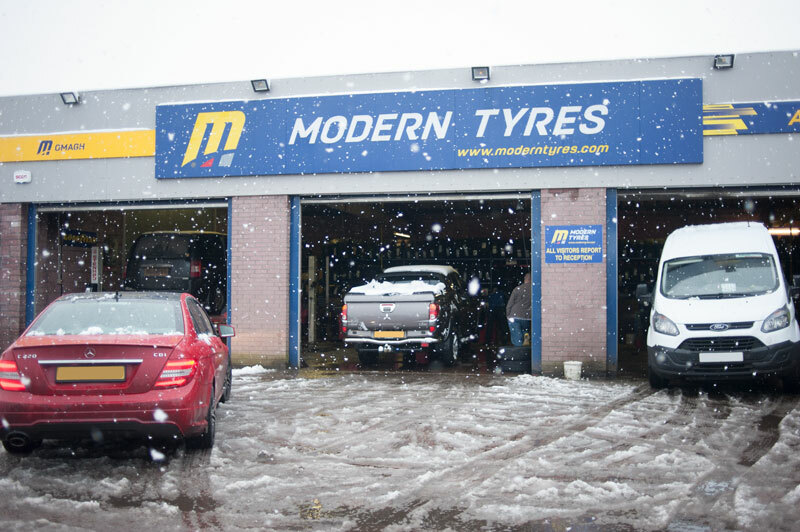 For people living up upland areas, Winter tyres are are a must. 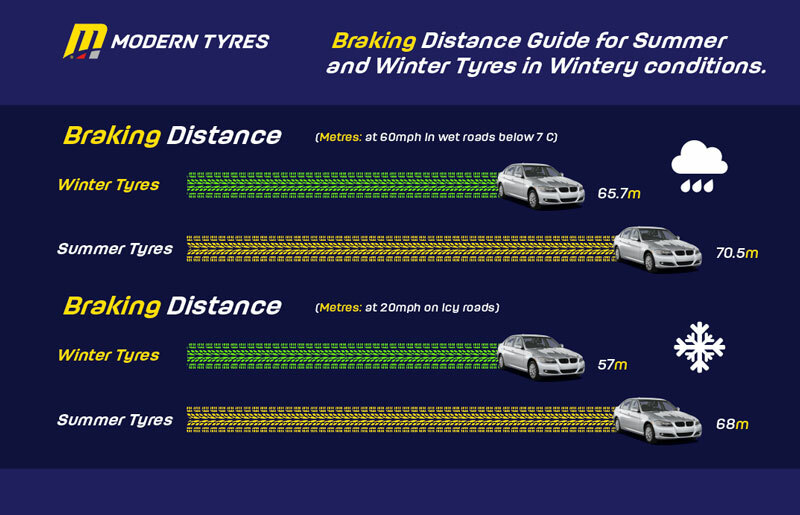 With colder weather and much more snow and rainfall, winter tyres provide safety and piece of mind. 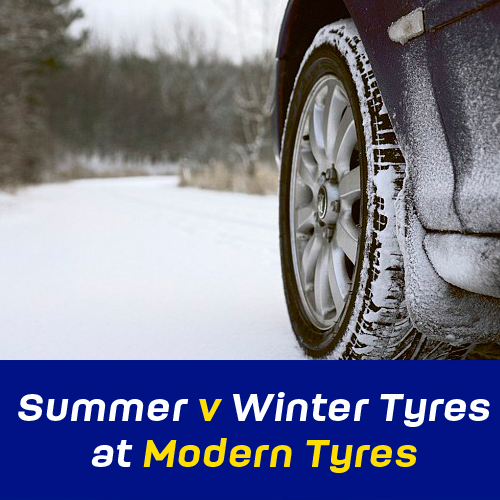 Versus Summer tyres and in snowy and icy conditions, you will wish you had them Winter tyres fitted. Just for winter. Winter tyres are just that, and that means you switch out your winter tyres for summer tyres around March. You can store them yourself or we can store them for you ready for the following winter. 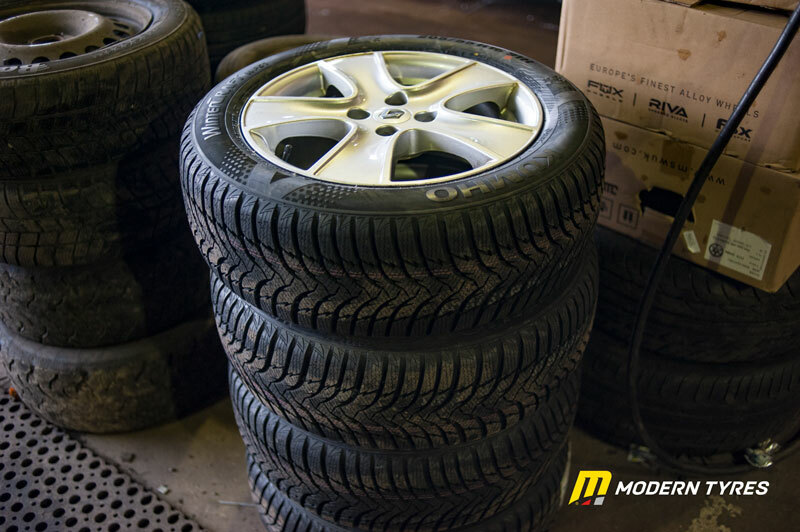 That means, depending on mileage and wear, your winter tyres can be used for about 6 years as long as it stays within the recommended life of the tyre. You can find the date of manufacture on the sidewall. It will appear something like 3017 - this means manufactured in the 30th week of 2017. This improves the longevity of your summer tyres by approximately 3 months per year. Do you need winter tyres? The answer is yes. We certainly recommend a better performing and safer tyre in the winter season. Do I need All Season tyres in Winter? It’s entirely up to you. If you feel that bridging the summer-winter gap with a tyre that performs better than a summer tyre in winter, then we won’t say no, but we recommend you take into consideration your place of residence / work, driving stye, mileage and driving discipline. Should I use summer tyres in winter? 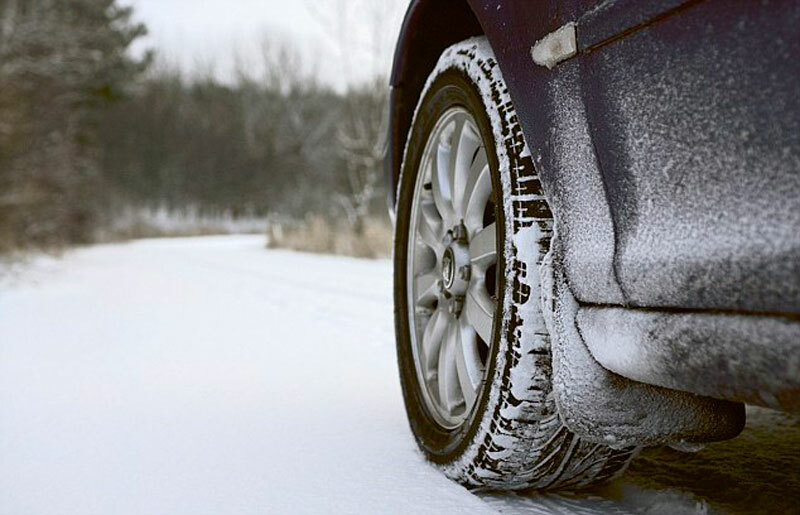 We would never recommend a tyre that underperforms in winter conditions when winter tyres are easily providable. What about the extra yearly cost? Well your winter tyres should be a once in a 6 year purchase - as long as your mileage is decent and you have good driving discipline. We also have an extensive range of budget, mid-range and premium tyres to choose from.